We, POD Luxury are an online Transportation service provider who deals in Black car services. POD Luxury makes all your ways possible as we provide an online platform and related technology that allow requesters and service providers, including transportation providers, to connect online and to schedule reservations for services directly with each other. United States based most popular transportation service provider, POD Luxury works on the core strategy to provide best-in-class services. As the city’s fastest growing company, we have made our position in the city by delivering dynamic and effortless luxury services to customers. POD Luxury carries all luxury brands like top models of Mercedes, BMW, Cadillac, Chevrolet, Lincoln, etc. Our standard services and easy-to-use reservation platforms differentiate us from the competition. By using POD Luxury Site and Mobile App, the one can facilitate wide information regarding Requesters and Service Providers, including Transportation Providers, and the scheduling of Reservations for Services. We stay alive and awake because we care for our potential customers in all luxurious ways. Using our dynamic services, users across the city can conveniently connect online with service providers to enjoy a luxurious ride. Our aim is to construct a complete ecosystem for our customers to make a unique experience of luxury car services. Whether you are in five-star hotels or Airport, we ensure for hassle-free services. 1- Download the app from android market / apple store. 2- Sign up for new account and responds to all the requirements. 3- After the account is active you can start using POD services. 4- Put your pickup location and drop off location. 5- Choose what kind of car you want Sedan or SUV. 6- Hit the confirmation button to confirmation the request. How far in advance to make a reservation? The minimum time to make a reservation is two hours ahead. How do I know my request been accepted? When driver accept your request you get a notification via the app. What's about if no driver accepts my request? Before one hour from the pickup time your request will be cancel if no driver is available. Is there any cancellation charges? Yes, after booking being confirmed if you cancel you will be charged cancellation fee. How to register as Driver? mail once verified and confirmed by POD luxury. 2- Download the app from android market / apple store. 3- Login with your login credentials. 4- Now you can start using POD luxury services. Is there going to be any background check? Yes, and whoever did not pass, it will not be one of our drivers because we try to provide the most professional services. By submitting your bank information you will get paid automatically every five days. Can I cancel the ride after I accept it? You have 30 minutes to cancel or should be an emergency issue. Whether you are on the back seat or on front wheels, your safety is our responsibility. 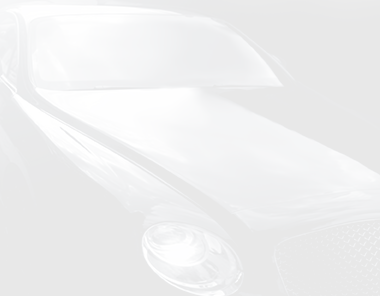 With POD Luxury black cars, you ride or journey is not only safe and secure, but also memorable and enjoyable. Our professional pilots are ensuring for a safe and luxurious ride. As the top brands, we commit to our customers to bring their life into the luxury and standard. 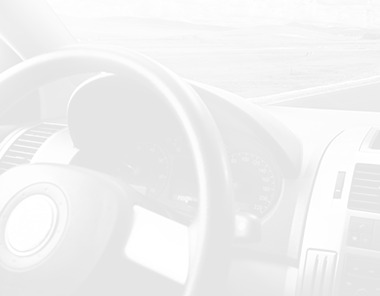 All our Black cars are equipped with highly advanced safety components which enhance your traveling experience. Our black car services will not make any effect on your pocket as POD Luxury black cars provide services at an affordable price. We have used latest algorithm in our platform to make your online reservation hassle free. Our user friendly reservation system allows you step-by-step booking process. As per the brand name, POD Luxury Car Service. We promise for a quality and services to our potential customers. Download the POD Luxury app free! Stay connected with POD Luxury to feel luxurious. Our App is featured with an innovative interface and easy functionality that allow you to book a ride quickly. Download our app from the App Store or Play Store to enjoy our services. 1. What Information Does POD LUXURY Collect? If you decide to register on our site, there will be certain information you must provide such as your legal name, mobile telephone number, e-mail address. When you purchase our Services, we collect information about the transaction. This can include your payment information, purchase activity. When we take your credit card payment information, it is directed to your bank card of choice where the information is verified and charged by your bank card carrier, we do not save any credit card information. a) When you communicate with POD LUXURY for a ride we will collect precise location data (GPS) location. Personal Information means any information that may be used to identify an individual. This includes first and last name, email address, mobile telephone number and credit card information needed to provide a service you have requested. If we are required to do so by law, court order, as requested by other government or law enforcement authority, or in the good faith belief that disclosure is necessary or advisable including, without limitation, to protect the rights or properties of podluxury.com. We may aggregate your Personal and Non-Personal Information and provide it to our existing or potential business partners, sponsors, advertisers or other third parties, in response to a government request for lawful purposes. May disclose Personal Information to third party marketers (who may combine such Personal Information with their records, and files available from other sources), for their direct marketing purposes. 5.1 Facebook: We use the social network, facebook.com, which is operated by Facebook Inc.; the plugins are identifiable by one of the Facebook logos. You may sign in to our site using your Facebook account. http://www.facebook.com/policy.php. 5.2 Twitter Inc.: We use the social network plugins for Twitter Inc., The Twitter plug-in (tweet button), can be recognized by the Twitter logo on our site. You may sign in to our site using your Twitter account. 5.4 Google analytics is a web analytics tool that helps Site owners understand how visitors engage with their Site s. Uncivil analytics customers can view a variety of reports about how visitors interact with their Site s so they can improve it. Google Analytics collects information anonymously. It reports Site trends without identifying individual visitors. Under Section 16 CFR Part 312 Children's Online Privacy Protection Act (COPPA) of 1998, 15 U.S.C. 6501–6505; mandates rules on operators of websites or online websites directed to children under 13 years of age, and on operators of other sites that have actual knowledge that they are collecting personal information online from a child under 13 years old. We do not knowingly collect any data from such children. If you are under the age of 13, do not submit any information to this Site. Any Information inadvertently collected from children under the age of 13, will be deleted as soon as possible. Residents of California have the right to obtain specific Personal information under Section 1798.83 of the California Civil Code. The report includes data that may have been shared with third parties for direct marketing purposes including the names and addresses of those third parties. You may opt-out of receiving promotional emails from us regarding new features by unchecking the box that asks whether you would like to receive e-mail updates or by using the Unsubscribe page on our Site. We will send you Push notifications when you book a ride to inform you of the driver information and estimate time of arrival. 11. What safeguards are used to protect my data? We will only retain your data for as long as needed to complete your services, resolve any disputes between us, and to enforce any contracts between us. PLEASE BE ADVISED THAT IF YOU KNOWINGLY MISREPRESENT THAT ONLINE MATERIAL IS INFRINGING ON YOUR RIGHTS, YOU MAY BE SUBJECT TO HEAVY CIVIL PENALTIES AND CRIMINAL PENALTIES INCLUDING COSTS AND ATTORNEY FEES. It is www.pod.limo’s Policy to respond to notices of alleged copyright infringement. The following describes the information that should be present in these notices. It is designed to make submitting notices of alleged infringement to www.pod.limo as straightforward as possible. How to file a DMCA complaint? The Complaining party is required to deliver the following information to www.pod.com. 1. Identification of the copyrighted work(s) claimed to have been infringed; 2. Identification of the material that is claimed to be infringing or to be the subject of the infringing activity and information reasonably sufficient to permit us to locate the material (please provide www.POD.comand/or www.pod.limo with the URLs from his website User's website where the infringing material is located); 3. Information reasonably sufficient to allow www.pod.limo to contact the complaining party such as email, telephone, fax, etc. 4. The following statements printed, signed manually and sent (you may scan and attach the statement to an email): "I have a good faith belief that the use of the material in the manner complained of is not authorized by the copyright owner, its agent, or the law." "Under the penalty of perjury, I state that the information contained in my complaint is accurate and I am authorized to act on behalf of the owner of the copyright I claim is infringed." 5. A physical, faxed, or electronic signature of the person authorized to act on behalf of the owner of an exclusive right that is allegedly infringed. Please note that after www.pod.limo receives your formal complaint, he is required to inform the Respondent of your complaint. If his website User does not remove the infringing material, he will disable access to that material. The website User has the right to submit a counter-notification in case they disagree with the claim. In such case, the complaining party is provided with 10 days to file a lawsuit against the www.pod.com website User and provide a proof of filing. If no such proof is submitted or a restraining order is not granted, then www.pod.com will reinstate access to the material. How to serve a counter-notification? In case of a copyright complaint filed against a website User of www.pod.com and the website, User may voluntarily remove the material or may submit a counter-notification indicating that the case will be resolved in court. The counter-notification must include all of the following: 1. Identification of the material that has been removed or to which access has been disabled and its location. 2. Your full legal name, and/or that of the entity claiming to have legitimate access to the content, address, and telephone number; 3. The following statements printed, signed and sent (email attachments are acceptable): "I have a good faith belief that the material was removed or disabled in error or misidentification and I believe it is not infringing upon anyone’s copyrights. I understand that I am declaring the above under penalty of perjury, meaning that if I am not telling the truth I may be committing a crime." "I consent to be served by the person, who gave notice to my Service Provider, or his agent. I consent to the jurisdiction of Federal District Court for the judicial district in which my address is located, or if my address is outside of the United States, for any judicial district in which the Service Provider may be found." 4. A physical signature of the alleged infringer. These Terms establish a binding agreement between you and POD Luxury Transportation, Inc. and its affiliates and subsidiaries (“POD Luxury,” “Company,” “we,” “us”). “You” and “users” will mean all users of the Service. When you access our Service, you imply you accept these terms. If you disagree with any part of these Terms, you must not use the Service. User under 18 years of age must have parental consent to access and use the Service. Occasionally we may change these terms as we see fit, we will notify you by posting an updated version. Periodically review these terms to be sure you have the most current Terms (“Updated Terms”). Continued use of the Service after a change implies your acceptance of these Terms. POD Luxury provides an online platform and related technology allowing Requesters and Service Providers, including Transportation Providers, to connect online and to schedule reservations for Services directly with each other. The POD Luxury Site and Mobile App can also be used to facilitate the listing of information regarding Requesters and Service Providers, including Transportation Providers, and the scheduling of Reservations for Services, including Transportation Services. The user may register with us to share their automobile with others. 1.2 The business app targeted market is college/university students. 1.3 User can create a post with his/her travel needs (to & from location and number of passengers traveling) 1.4 User can select other options like the type of vehicle and pickup/Drop-off location. 1.5 This post will be visible to all the app users who have registered with us 1.6 Other Users can create a post and offer a ride with condition (no pets, no smoking) 1.7 User may receive different offers to share a ride, each with a different set of options. 1.7 User can accept the best offer from the options received. 1.8 Price will vary. POD Luxury is a technology platform. Our smartphone apps connect driver-partners and riders. In cities where POD Luxury operates, use your rider app to request a ride or schedule an appointment. Your fare is automatically calculated and charged to the payment method you've linked to your POD Luxury account. Rider will have the option to choose the driver from a list of three drivers that the app provides after payment is received. The driver will have the option to accept or reject the request. POD Luxury will charge a percentage of the driver fees. The “Service” means the website, application, or Internet service developed by POD Luxury to providing POD Luxury’s online platform that connects users with vehicle-sharing transportation providers in major cities. 2.2 A “Reservation,” means a user reserved vehicle-sharing transportation from providers through the Service. 2.3 A “Ride” is a confirmed and completed vehicle-sharing transportation. 2.4 POD Luxury Does not provide transportation services and is not a transportation carrier. 2.5 POD Luxury offers information and a method to obtain vehicle-sharing transportation services, but does not provide transportation and has no responsibility or liability for any transportation services provided to you by such third parties. 3. Eligibility to Use the Service 3.1 User must be over the age of 18 to use the Service without the consent of a parent or guardian. If you are under the age of 18, you agree that you have consent from a parent or guardian. 3.2 If you are using the Service on behalf of a company, or organization then you agree that you have the authority to do so. 4.1 You are responsible for your log-in credentials and for keeping your information accurate. 4.2 You are responsible for any actions resulting from the use of your log-in credentials on the Service. 4.3 You represent and warrant that the personal data you provide to the Company will be true, accurate, current, and complete. 4.4 To use the Service, you may need to log-in by providing a username, password, and cellular phone number. 4.5 You are responsible for all activity that occurs when you or someone else accesses your log-in identifications. You will make every effort to prevent unauthorized access to the Service and to keep your password confidential. 4.7 If you believe that your account information has been accessed by a third party, you should straight away notify the Company by e-mail to support@ridewithPOD Luxury.com. You will be solely responsible for the losses incurred by the Company and others due to any unauthorized use of your account. 5. Payments and Billing 5.1 POD Luxury charges a fee (the “Fee“) for the use of the Service. You will be charged when your Ride is complete. All Fees are non-refundable. Fees do not include taxes and other government surcharges. 5.2 Cancellation Policy. If you cancel a Reservation, we may charge you a Fee. Repeated cancelations may result in the suspension of your account, in POD Luxury’s sole discretion. 5.3 No-Show Policy. You will be charged a Fee whether you show for your Reservation or not. 5.4 Repeated “no-show” instances may result in the suspension of your account, in POD Luxury’s sole discretion. 6.1 If you make a Reservation and multiple people are traveling in your party, you, as the account associated with the Reservation, are responsible for the conduct of everybody traveling in your party. 6.2 When you make a Reservation, you must indicate how many people are traveling in your party. If you do not, we reserve the right to refuse service to additional guests or charge an additional Fee. 7.1 POD Luxury may communicate with you by email, text message or posting notice on the Service. You may request that we provide notice of security breaches in writing. 7.2 You agree to receive an email from us at the email address you provided to us for customer service-related purposes. 7.3 By using the Service or providing Personal Information to us, you agree that we may communicate with you electronically regarding security, privacy, and administrative issues relating to your use of the Service. If we learn of a security system’s breach, we may attempt to notify you electronically by posting a notice on the Service or sending an email to you. You may have a legal right to receive this notice in writing. To receive free written notice of a security breach (or to withdraw your consent from receiving electronic notice), please write to us at support@ridewithPOD Luxury.com. 7.4 SMS Text Messages. We may send you an SMS text message to the phone number you provide upon registering with the Service (i) when you register with the Service, (ii) when you make a Reservation, (iii) when your vehicle is approaching the designated pick-up location, (iv) when your vehicle is at the designated pick-up location, and (v) when you reset your password with the Service. Text message and data rates, as determined by your wireless carrier, may apply. By registering with the Service, you consent to receive these SMS text messages. 8.1 POD Luxury owns or has rights to all of the content we make available through the Service, but you may use it as you use the Service. You cannot use our logo without our written permission. 8.2 The term “content” or “contents” as used generally in these Terms shall mean any text, graphics, images, music, software (excluding the Service), audio, video, information or other materials. 8.3 The contents of the Service include designs, text, graphics, images, video, information, logos, button icons, software, audio files, computer code, and other POD Luxury content (collectively, “POD Luxury Content“). All POD Luxury Content and the compilation (meaning the collection, arrangement, and assembly) of all POD Luxury Content are the property of POD Luxury or its licensors and are protected under copyright, trademark, and other laws. 8.4 License to You. We authorize you, subject to these Terms, to access and use the Service and the POD Luxury Content solely to make Reservations. Any other use is expressly prohibited. This license is revocable at any time without notice and with or without cause. Unauthorized use of the POD Luxury Content may violate copyright, trademark, and applicable communications regulations and statutes and is strictly prohibited. You must preserve all copyright, trademarks, service marks, and other proprietary notices contained in the original POD Luxury Content on any copy you make of the POD Luxury Content. 8.5 POD Luxury Marks. POD Luxury, the POD Luxury logo, and other POD Luxury logos and product and service names are or may be trademarks of POD Luxury (the “POD Luxury Marks“). Without our prior written permission, and except as solely enabled by any link as provided by us, you agree not to display or use in any manner the POD Luxury Marks. 10.1 POD Luxury respects the intellectual property rights of others and expects its users to do the same. Tell us if you think a user has violated your copyright using the Service, or if you think someone incorrectly reported that you violated his or her copyright. 10.2 Digital Millennium Copyright Act of 1998 (the “DMCA“) provides recourse for copyright owners who believe that material appearing on the Internet infringes their rights under U.S. copyright law. If you believe in good faith that materials posted on the Service infringe your copyright, you (or your agent) may send POD Luxury a “Notification of Claimed Infringement” requesting that the material is removed, or access to it blocked. The notice must include the following information: (i) A physical or electronic signature of a person authorized to act on behalf of the owner of the works that have been allegedly infringed; (ii) Identification of the copyrighted work alleged to have been infringed (or if multiple copyrighted works located on the Service are covered by a single notification, a representative list of such works); (iii) Identification of the specific material alleged to be infringing or the subject of infringing activity, and information reasonably sufficient to allow the POD Luxury to locate the material on the Service; (iv) Your full legal name, address, telephone number, and e-mail address (if available); (v) A statement that you have a good faith belief that use of the material in the manner complained of is not authorized by the copyright owner, its agent, or the law; and (vi) A statement that the information in the notification is accurate, and under penalty of perjury, that the complaining party is authorized to act on behalf of the owner of an exclusive right that is allegedly infringed. 10.3 If you believe in good faith that a notice of copyright infringement has been wrongly filed against you, the DMCA permits you to send POD Luxury a counter-notice. 10.4 Notices and counter-notices must meet the current statutory requirements imposed by the DMCA; see http://www.loc.gov/copyright/ for details. Notices and counter-notices with respect to the Service should be sent to POD Luxury’s Designated Copyright Agent: Erin H. Abrams, Esq. c/o POD Luxury Transportation, Inc., 226 5th Avenue, 3rd Floor New York, New York 10001 or by e-mail to copyright@ridewithPOD Luxury.com. Consult your legal advisor and see 17 U.S.C. § 512 before filing a notice or counter-notice as there are penalties for false claims under the DMCA. 10.5 Upon receipt of such notice as described above, POD Luxury will take whatever action, in its sole discretion, it deems to be appropriate, including removal of the challenged material from the Service. 11.1 We appreciate your comments, but if you send us creative ideas, we can use them without compensating you. 11.2 We appreciate hearing from our users and welcome your comments regarding the Service. Please be advised, however, that if you send us creative ideas, suggestions, inventions, enhancement requests, feedback, recommendations or materials (“Creative Ideas“), we shall: 11.2.1. Own, exclusively, all now known or later discovered rights to the Creative Ideas; 11.2.2. Not be subject to any obligation of confidentiality and shall not be liable for any use or disclosure of any Creative Ideas; and 11.3 Be entitled to unrestricted use of the Creative Ideas for any purpose whatsoever, commercial or otherwise, without compensation to you or any other person. 12.1 You are responsible for your actions when using and relying on the Service or content available on the Service. 12.2 We do not represent or guarantee the truthfulness, accuracy, or reliability of content, posted by third parties (“Third-Party Content“). You accept that any reliance on material posted by other users or third-party service providers will be at your own risk. By using the Service you accept the risk that you might be exposed to content that is objectionable or otherwise inappropriate. POD Luxury does not endorse any, nor is it responsible for, Third-Party Content on the Service. 12.3	Do not do bad things with the Service, try to break it or steal our hard work. 12.4 You agree to use the Service only for its intended purpose. You must use the Service in compliance with all privacy, data protection, intellectual property, and other applicable laws. The following uses of the Service are prohibited. You may not: 12.4.1. Attempt to interfere with, harm, reverse engineer, steal from, or gain unauthorized access to the Service, user accounts, or the technology and equipment supporting the Service; 12.4.2. Frame, mirror or link to the Service without permission; 12.4.3. use data mining, robots, web spiders, viruses or worms or other data gathering devices on or through the Service, including any program which may make multiple server requests per second, or unduly burden or hinders the operation or performance of the Service; 12.5 Post incomplete, false, or misleading information, impersonate another person, or misrepresent your affiliation with a person or entity; 12.6 disclose personal information about another person, or post, send or store infringing, obscene, threatening, libelous or otherwise tortious material, including material that is harmful to children, violates the rights of third parties, or is intended to harass, abuse, or degrade another person; 12.7 Sell, transfer, or assign any of your rights to use the Service to a third party without our express written consent; 12.8 Post advertising or marketing links or content, including spam or otherwise duplicative and unsolicited messages, except as specifically allowed by these Terms; 12.9 use the Service in an illegal way or to commit an illegal act in relation to the Service or that otherwise results in fines, penalties, and other liability to POD Luxury or others; or 12.10 Access the Service from a jurisdiction where it is illegal or unauthorized. 13.1 If you do not act acceptable, we may prohibit your use of the Service. 13.2 We will have the right to investigate and prosecute violations of the above to the fullest extent of the law. POD Luxury reserves the right to involve and cooperate with federal, state and local law enforcement authorities in prosecuting users to violate these Terms in a criminal manner. 13.3 We reserve the right to suspend or terminate your account and prevent access to the Service for any reason, at our discretion. We reserve the right to refuse to provide the Service to you in the future. 13.4 POD Luxury may review and remove any Third-Party Content at any time for any reason, including activity which, in its sole judgment: violates these Terms; violates applicable laws, rules, or regulations; is abusive, disruptive, offensive or illegal; or violates the rights of, or harms or threatens the safety of, users of the Service. 13.5 You are responsible for any claims, fees, fines, penalties, and other liability incurred by us or others caused by or arising out of your breach of these Terms and your use of the Service. 14.1 We are not liable for the actions of users when they use the Service. We may also change the Service at any time and are not liable for how this may affect you. We do not guarantee the quality or accuracy of any content you view using the Service or other websites. 14.2 Changes to the Service. We may change, suspend, or discontinue any aspect of the Service at any time, including hours of operation or availability of the Service or any feature, without notice or liability. 14.3 User Disputes. We are not responsible for any disputes or disagreements between you and any third party you interact with using the Service. You assume all risk associated with dealing with third parties. You agree to resolve disputes directly with the other party. You release POD Luxury of all claims, demands, and damages in disputes among users of the Service. You also agree not to involve us in such disputes. Use caution and common sense when using the Service. 14.4 Content Accuracy. We make no representations about accuracy, reliability, completeness, or timeliness of any contents of the Service. Similarly, we make no representations about accuracy, reliability, completeness, or timeliness of any data from a third-party service provider or the quality or nature of third-party products or services obtained through the Service. Use the Service at your own risk. 14.4 Third-Party Websites and Promotions. The Service may include links to third-party websites and applications, including opportunities to purchase goods and services from, or participate in special contests, sweepstakes, and other promotions (“Promotions”) of our business partners, charities, sponsors or other third parties (“Third-Party Partners”). You are responsible for evaluating whether you want to access or use them. We are not responsible for and do not endorse any features, content, advertising, products, or other materials on other websites or applications. You assume all risk and we disclaim all liability arising from your use of them. We make no promises and disclaim all liability for specific results from the use of the Service. Released Parties Defined. “Released Parties” include POD Luxury and its affiliates, officers, directors, employees, agents, partners, and licensors. You use the Service at your own risk. We make no warranties or guarantees. YOU EXPRESSLY UNDERSTAND AND AGREE THAT (A) YOUR USE OF THE SERVICE IS AT YOUR SOLE RISK, AND THE SERVICE IS PROVIDED ON AN “AS IS” AND “AS AVAILABLE” BASIS AND THE RELEASED PARTIES EXPRESSLY DISCLAIM ALL WARRANTIES OF ANY KIND, WHETHER EXPRESS OR IMPLIED, INCLUDING, BUT NOT LIMITED TO, WARRANTIES AS TO PRODUCTS OR SERVICES OFFERED BY BUSINESSES LISTED ON THE SERVICE, IMPLIED WARRANTIES OF MERCHANTABILITY, FITNESS FOR A PARTICULAR PURPOSE, AND NON-INFRINGEMENT; (B) THE RELEASED PARTIES MAKE NO WARRANTY THAT (i) THE SERVICE WILL MEET YOUR REQUIREMENTS, (ii) THE SERVICE WILL BE UNINTERRUPTED, TIMELY, SECURE, OR ERROR-FREE, (iii) THE RESULTS THAT MAY BE OBTAINED FROM THE USE OF THE SERVICE WILL BE ACCURATE OR RELIABLE, (iv) THE QUALITY OF ANY GOODS OR SERVICE AVAILABLE ON THE SERVICE WILL MEET YOUR EXPECTATIONS, AND (v) ANY ERRORS IN THE SERVICE WILL BE CORRECTED; (C) THE SERVICE OR THE SERVER THAT MAKES THE SERVICE AVAILABLE ARE FREE OF VIRUSES OR OTHER HARMFUL COMPONENTS; AND (D) ANY MATERIAL DOWNLOADED OR OTHERWISE OBTAINED THROUGH THE USE OF THE SERVICE IS ACCESSED AT YOUR OWN DISCRETION AND RISK, AND YOU WILL BE SOLELY RESPONSIBLE FOR ANY DAMAGE TO YOUR COMPUTER SYSTEM OR MOBILE DEVICE OR LOSS OF DATA THAT RESULTS FROM THE DOWNLOAD OR USE OF ANY SUCH MATERIAL. POD Luxury MAKES NO REPRESENTATION OR WARRANTY AS TO THE RELIABILITY, SAFETY, TIMELINESS, QUALITY, SUITABILITY OR AVAILABILITY OF ANY SERVICES OBTAINED FROM THIRD PARTIES THROUGH THE USE OF THE SERVICE. YOU ACKNOWLEDGE AND AGREE THAT THE ENTIRE RISK ARISING OUT OF YOUR USE OF THE SERVICE AND ANY THIRD-PARTY SERVICES REMAINS SOLELY WITH YOU, TO THE MAXIMUM EXTENT PERMITTED BY LAW. We are not liable for anything that happens to you that somehow may be connected to your use of the Service. If you use the Service in a way that causes us to be included in litigation, you agree to pay all legal fees and costs for Released Parties. Rider and driver agree that they are required to resolve any claim that they may have against each other on an individual basis in arbitration, as set forth in this Arbitration Agreement. This will preclude anyone from bringing any class, collective, or representative action against POD Luxury, and also preclude you from participating in or recovering relief under any current or future class, collective, consolidated, or representative action brought against POD Luxury by any other claimant. All drivers have their own insurance and it will be driver responsibility of any cost of accident and medical cost for driver and rider/riders if there any. The POD Luxury is totally not responsible for any liability. YOU EXPRESSLY UNDERSTAND AND AGREE THAT THE RELEASED PARTIES SHALL NOT BE LIABLE TO YOU FOR ANY DIRECT, INDIRECT, INCIDENTAL, SPECIAL, CONSEQUENTIAL, OR EXEMPLARY DAMAGES, INCLUDING, BUT NOT LIMITED TO, DAMAGES FOR LOSS OF PROFITS, GOODWILL, USE, DATA OR OTHER TANGIBLE OR INTANGIBLE LOSSES (EVEN IF COMPANY HAS BEEN ADVISED OF THE POSSIBILITY OF SUCH DAMAGES), RESULTING FROM: (i) THE USE OR THE INABILITY TO USE THE SERVICE, INCLUDING DELAYS, DELIVERY FAILURES OR OTHER DAMAGE RELATING TO LIMITATIONS, DELAYS AND OTHER PROBLEMS INHERENT IN THE USE OF THE INTERNET AND ELECTRONIC COMMUNICATIONS; (ii) THE COST OF PROCUREMENT OF SUBSTITUTE GOODS AND SERVICES RESULTING FROM ANY GOODS, DATA, INFORMATION, OR SERVICES OBTAINED OR MESSAGES RECEIVED OR TRANSACTIONS ENTERED INTO THROUGH, FROM, OR AS A RESULT OF THE SERVICE; (iii) UNAUTHORIZED ACCESS TO OR ALTERATION OF YOUR TRANSMISSIONS OR DATA; (iv) STATEMENTS OR CONDUCT OF ANY USER OR THIRD PARTY ON THE SERVICE; (v) YOUR RELIANCE ON CONTENT MADE AVAILABLE BY US; OR (vi) ANY OTHER MATTER RELATING TO THE SERVICE. POD Luxury AND/OR ITS LICENSORS WILL NOT BE LIABLE FOR ANY LOSS, DAMAGE, OR INJURY WHICH MAY BE INCURRED BY YOU, INCLUDING BUT NOT LIMITED TO LOSS, DAMAGE, OR INJURY ARISING OUT OF, OR IN ANY WAY CONNECTED WITH THE SERVICE, INCLUDING BUT NOT LIMITED ANY LOSS, DAMAGE, OR INJURY RESULTING FROM ANY RELATIONSHIP OR TRANSACTION BETWEEN YOU AND ANY THIRD-PARTY SERVICE PROVIDER. POD Luxury MAY INTRODUCE YOU TO THIRD-PARTY TRANSPORTATION PROVIDERS TO PROVIDE YOU TRANSPORTATION, BUT POD Luxury DOES NOT ASSESS THE SUITABILITY, LEGALITY, OR ABILITY OF ANY THIRD-PARTY TRANSPORTATION PROVIDER AND YOU EXPRESSLY WAIVE AND RELEASE THE COMPANY FROM ANY AND ALL LIABILITY, CLAIMS, OR DAMAGES ARISING FROM OR IN ANY WAY RELATED TO THE THIRD-PARTY TRANSPORTATION PROVIDER. YOU ACKNOWLEDGE THAT POD Luxury DOES NOT MONITOR ANY THIRD-PARTY TRANSPORTATION PROVIDER’S ON-GOING COMPLIANCE WITH ANY AND ALL LICENSING AND/OR PERMITTING RULES AND REGULATIONS, AND POD Luxury WILL NOT BE RESPONSIBLE FOR ANY LIABILITY, CLAIMS, OR DAMAGES ARISING FROM OR IN ANY WAY RELATED TO A THIRD-PARTY TRANSPORTATION PROVIDER’S FAILURE TO MAINTAIN A CURRENT LICENSE AND/OR PERMIT. POD Luxury WILL NOT BE A PARTY TO DISPUTES OR NEGOTIATIONS OF DISPUTES BETWEEN YOU AND ANY THIRD-PARTY PROVIDERS. RESPONSIBILITY FOR THE DECISIONS YOU MAKE REGARDING POD Luxury’S SERVICES RESTS SOLELY WITH YOU. POD Luxury WILL NOT ASSESS THE SUITABILITY, LEGALITY, OR ABILITY OF ANY SUCH THIRD PARTIES AND YOU EXPRESSLY WAIVE AND RELEASE THE COMPANY FROM ANY AND ALL LIABILITY, CLAIMS, CAUSES OF ACTION, OR DAMAGES ARISING FROM YOUR USE OF THE SERVICE, OR IN ANY WAY RELATED TO THE THIRD PARTIES INTRODUCED TO YOU BY THE SERVICE. THE QUALITY OF THE TRANSPORTATION SERVICES SCHEDULED THROUGH THE SERVICE IS ENTIRELY THE RESPONSIBILITY OF THE THIRD-PARTY PROVIDER WHO ULTIMATELY PROVIDES SUCH TRANSPORTATION SERVICES TO YOU. YOU UNDERSTAND THAT BY USING THE SERVICE, YOU MAY BE EXPOSED TO TRANSPORTATION THAT IS POTENTIALLY DANGEROUS, OFFENSIVE, HARMFUL TO MINORS, UNSAFE, OR OTHERWISE OBJECTIONABLE AND THAT YOU USE THE SERVICE AT YOUR OWN RISK. SOME JURISDICTIONS DO NOT ALLOW THE EXCLUSION OF CERTAIN WARRANTIES OR THE LIMITATION OR EXCLUSION OF LIABILITY FOR INCIDENTAL OR CONSEQUENTIAL DAMAGES. ACCORDINGLY, SOME OF THE ABOVE LIMITATIONS IN THIS PARAGRAPH MAY NOT APPLY TO YOU. TO THE FULLEST EXTENT POSSIBLE BY LAW, THE RELEASED PARTIES’ MAXIMUM LIABILITY ARISING OUT OF OR IN CONNECTION WITH THE SERVICE OR YOUR USE OF COMPANY CONTENT, REGARDLESS OF THE CAUSE OF ACTION (WHETHER IN CONTRACT, TORT, BREACH OF WARRANTY, OR OTHERWISE), WILL NOT EXCEED $100. You agree to defend, indemnify, and hold harmless the Released Parties from and against any claims, actions, or demands, including without limitation reasonable legal and accounting fees, alleging or resulting from (i) your use of or reliance on any Third-Party Content, (ii) your use of or reliance on any POD Luxury Content, (iii) your violation of any rights of any third party, including transportation service providers booked through the Service; or (iv) your breach of these Terms. We shall provide notice to you promptly of any such claim, suit, or proceeding. 15.1 These Terms constitute the entire agreement between you and POD Luxury concerning your use of the Service. Our failure to exercise or enforce any right or provision of these Terms shall not constitute a waiver of such right or provision. 15.2 If any provision of these Terms is found by a court of competent jurisdiction to be invalid, the parties nevertheless agree that the court should endeavor to give effect to the parties’ intentions as reflected in the provision, and the other provisions of these Terms remain in full force and effect. The section titles and annotations in these Terms are for convenience only and have no legal or contractual effect. 16.1 These Terms and the relationship between you and POD Luxury shall be governed by the laws of the state of _____________________ without regard to its conflict of law provisions. You and pod luxury agree to submit to the personal and exclusive arbitration of any disputes relating to your use of the Service under the rules of the American Arbitration Association. Any such arbitration, to the extent necessary, shall be conducted in New York County in the state of New York. You covenant not to sue pod luxury in any other forum. You also acknowledge and understand that with respect to any dispute with the Released Parties arising out of or relating to your use of the Service or these Terms: You are giving up your right to have a trial by jury; You are giving up your right to serve as a representative, as a private attorney general, or in any other representative capacity, or to participate as a member of a class of claimants, in any lawsuit involving any such dispute; and You must file any claim within one (1) year after such claim arose or it is forever barred. Copyright © POD Luxury. 2018 All rights reserved.